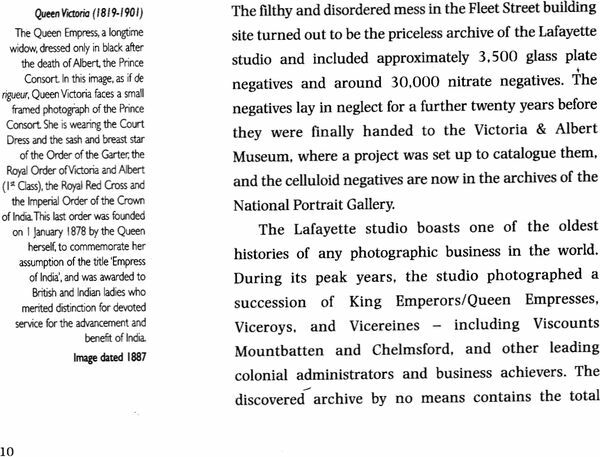 The negative archive of the Lafayette photography studio, discovered in 1968 and how had by the Victoria & Albert Museum . London. 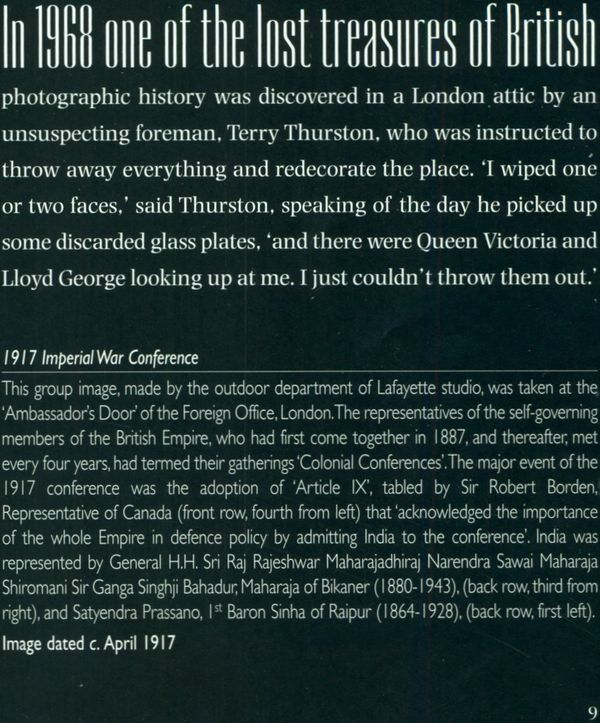 reveals a panoply of Indian rulers who made the arduous trip to the heart of the Empire and were photographed heavily bejewelled and in exotic finery the courts of queen Victoria and King Edward VII expected n less of them. The immaculately preserved negatives in this India collection reconstruct a vanished history of reconstruct a vanished history of opulence. Grandeur and pageantry that laced the great state occasions of this period. In these image. 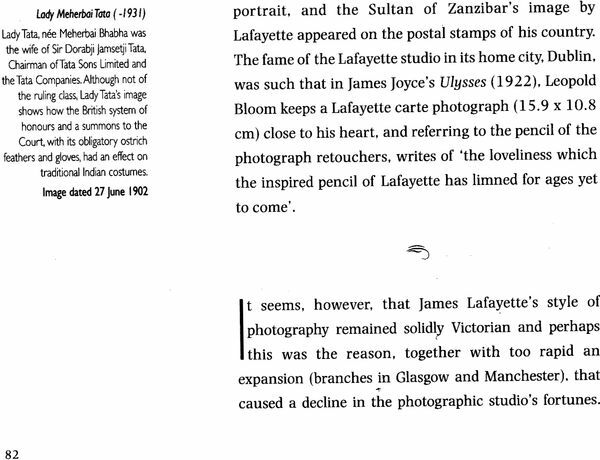 M. Lafayette (late of paris) of Bond street. 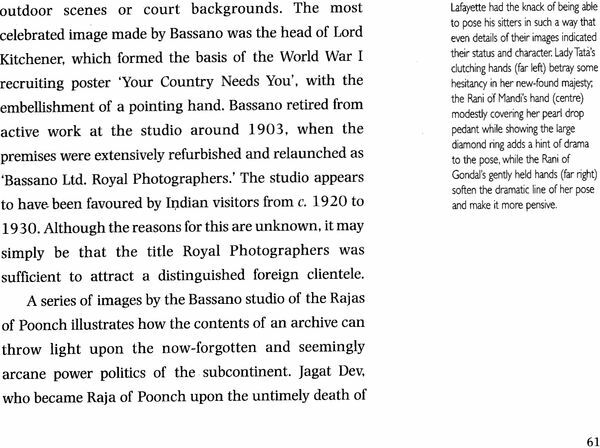 Presents the maharajas , maharanis and nawabs as they wished to be remembered by posterity. Russell Harris studied Oriental Studies at Balliol College, Oxford. He has translated novels and political works from French and Arabic and written for many scholarly publications on middle Eastern affairs and food history . In recent years he has collaborated with the national Portrait Gallery . London to showcase displays of Images from their archives. 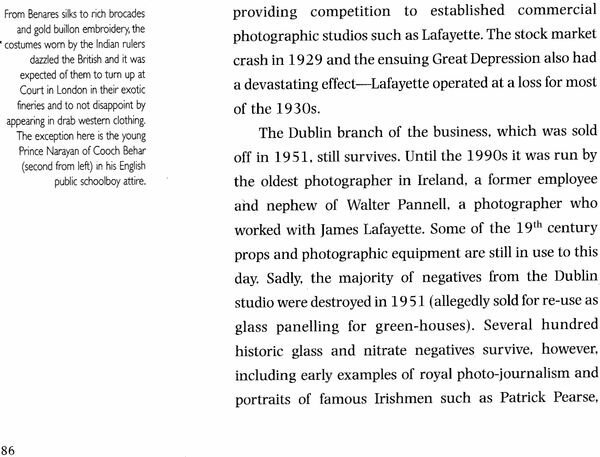 The result of his research on the Lafayette Negative Archie. Held by the Victoria & Albert Museums London have been shown in Pakistan, India , Romania , Britain and Austria. Photographic excellence is apparent is many forms, archive at the Victoria & Albert Museum (V& A) is the epitome of the high – society portrait . made with the most advanced photographic technology of time (the black and white glass plate negative) these photographs match a well –developed and repeatable studio style with the exceptional image quality of the large format photographic negatives. 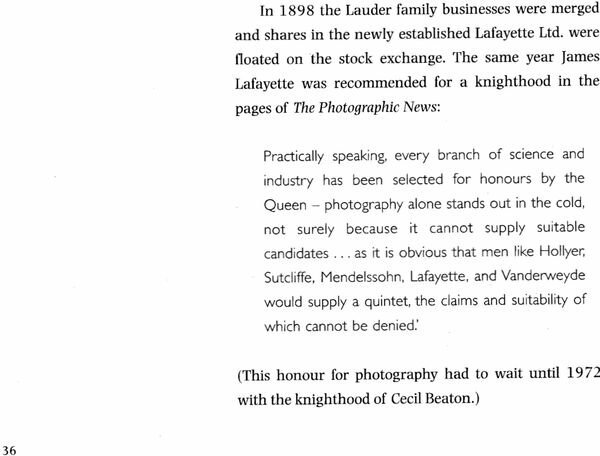 The Lafayette studio had the most eminent clients within British society , and maintained its reputation because of is ability to make the best photographs possible. The Entire archive is an overwhelming example of the studio ‘s ability to maintain the highest standard over many years - a standard that was recognized by three successive Lafayette studio. 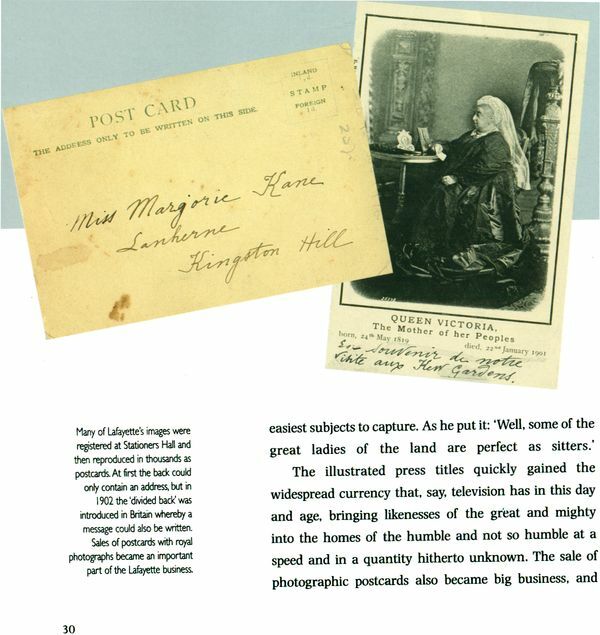 Through the photographs show a lost imperial and aristocratic past , they are significant for a host of reason for different audiences. for costume enthusiasts the range of high quality dress is a rich source of inspiration . The social and political historian can study the countenance of personalities from important enthusiasts techniques and quality is a joy to behold. Quality of such a high standard extremely difficult to archive to achieve today , even with contemporary materials, and is something that we as photographer s still crave to achieve . 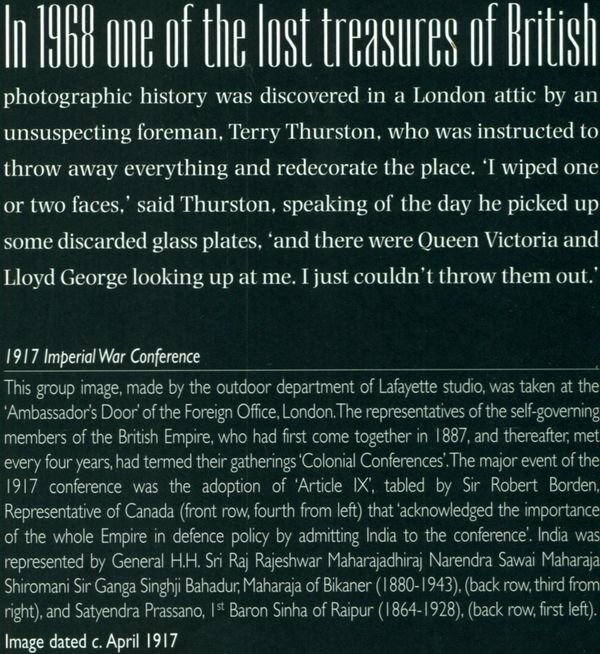 The photographs in this book present personalities from a short period of British and Indian history . they meet in a bizarre and unexpected way at the London studio of james stack lauder . 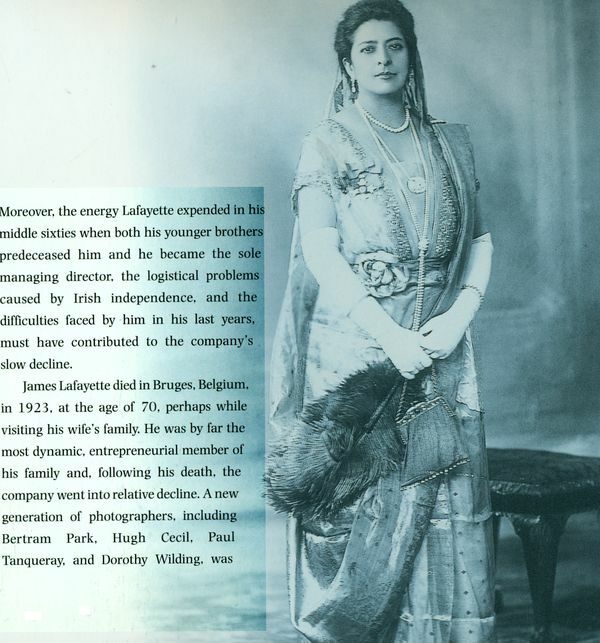 The Lafayette studio was located at the top of a tall staircase the cumbersome equipment of the photographic trade was used to portray the sitters as members of the rich and powerful Empire . 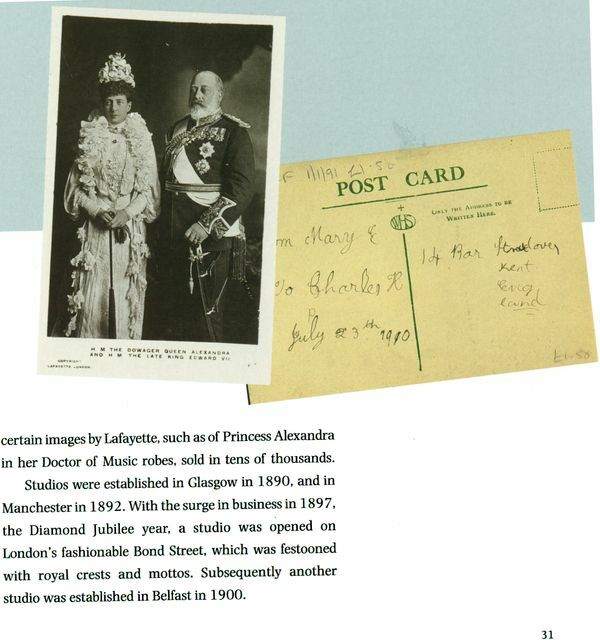 The appearance of Indian royal family members in London portrays them as exotic additions to the social scene . They are , however , just as at ease as the other Lafayette subjects, just as elegant , well dressed, and important as their British Counterparts - an early example of a global community. What makes this archive interesting for photographers is that it is entirely composed of photographic negatives. Very few contemporary prints made by the Lafayette studio remain in existence today , so the vision of these portraits can only be achieved from modern prints . This means that the interpretation of the photograph is also dependent on the presents day printer . 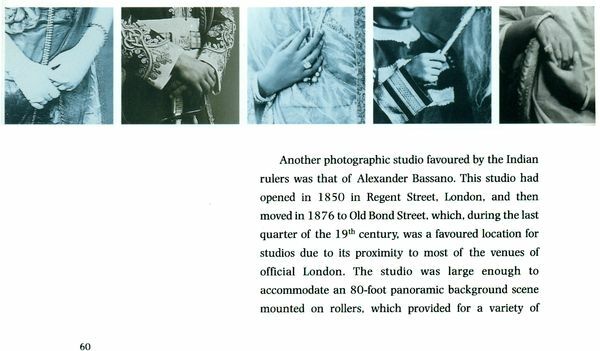 For the photographers at the V& A, who have custody of this archive, both a privilege and a responsibility .Interpreting photographs by printing is a skilled creative act where printers add their own ideas to the look and feel of the portrait . Modern materials also impart their own characteristics to the prints. The V&A is privileged to take care of this archive and is indebted to the scholarship of Russell Harris who , with his dedication , has helped the V&A make this archive well known , and has brought it is to an ever - expanding international audience.